I recently purchased a home (triplex) and in the basement unit, which is a one bedroom apartment, there are three baseboard heaters (bedroom, washroom, and living room). The issue is that the living room heater has recently stopped working. The previous owner of the house did all of the wiring by himself for this basement unit and I am now trying to figure out how it was wired and to ultimately get the living room heater circuit working again. Below are pictures of the physical layout of the apartment as well as the wiring inside the electrical box for the living room thermostat. I noticed that there are three double-pole circuit breakers associated with the heaters and they are all connected the same way (ie: red/black wires line up in the same physical orientation). All circuit breakers measure 120V at each connection. 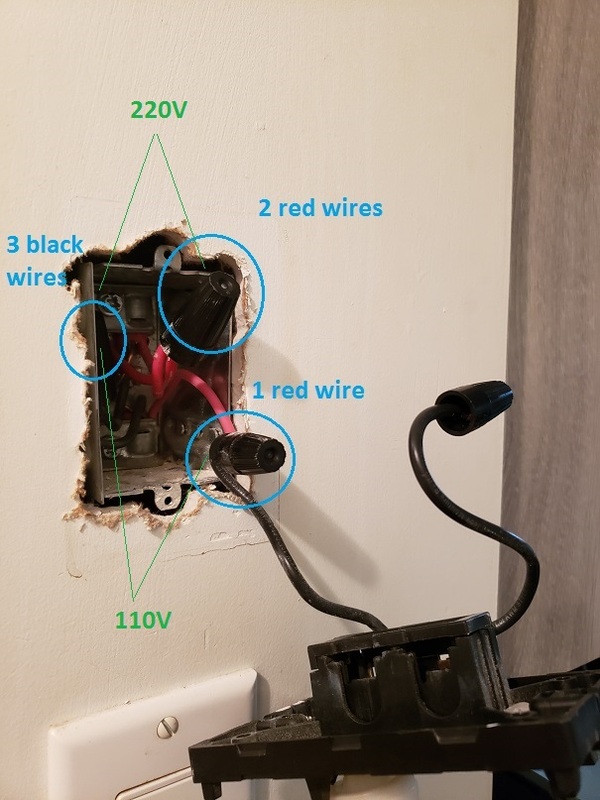 I unscrewed the thermostats for all three heaters and measured 240V, 240V, and 120V respectively for the bedroom, bathroom, and living room (non functional) between the thermostat (single pole) connections. I noticed that all thermostats are connected to the red 12/2 wires. From what I've read and seen online, the standard is to connect to the black wires instead. So the wiring seems to be reversed (colour-wise), but at least it's this way for all of them so it should be OK to keep as is). I removed the living room heater from the circuit and disconnected the living room thermostat to leave bundles of wires as shown in the second picture. I measured 120V at the exposed living room heater wires. 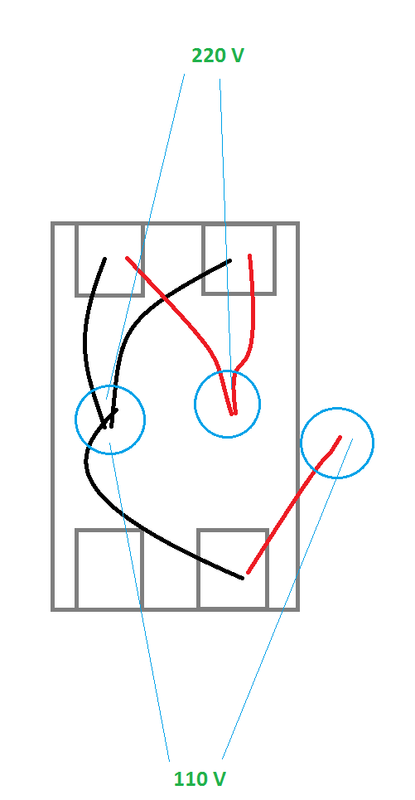 I re-measured the same 120V between the single red wire and bundle of black wires at the electrical box for the living room thermostat. At this stage, because of too much destructive analysis, I am planning to install a brand new 240V heater. My question is how do I handle the connections inside the electrical box for the living room thermostat (refer to the picture)? 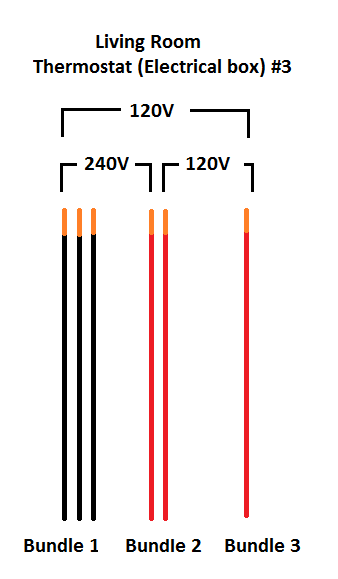 Do I connect all the red wires together to obtain 240V? Or is there another underlying problem here? Red vs black wires don't matter, you only use red and black because those are the colors chosen when the cable is manufactured. When wiring in conduit, I would use black-black... They are both hot wires, and they are interchangeable. I have no idea why he ran /3 cable, heaters don't need neutral so you normally run /2 cable and remark the white to be black. both outputs on any given circuit breaker should measure 120V to safety ground, but 240V to each other. A common mistake with these heaters is using a half-width duplex/twin/double-stuff breaker, which notably does not have the switches ganged, they are independent. These will have 120V from each leg to ground, but 0V between them. This will not work. if you measure between the thermostat contacts, you will see 240V when the thermostat is off. When the thermostat is on, you will see near 0 volts. Nobody cares what color the thermostat switches. That is three cables' worth of wire. One cable is from supply, one goes onward to the heater. What is the third doing? the additional wires go to? On that subject, what's happening with the white (neutral) wires? Not the answer you're looking for? Browse other questions tagged electrical thermostat heater or ask your own question. How do I design the circuit for baseboard heaters? Why won't my electric baseboard heaters work?